If you are the proud owner of a prestige time piece (E.g. Rolex, IWC, Omega, Breitling Etc), you understand how important it is who services your watch. Our chief horologist, David Prendergast (See His Bio) services these watches in our dundrum store. 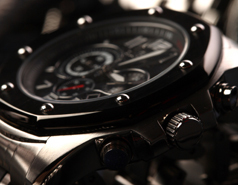 All mechanical watches require periodic servicing to maintain time keeping and limit wear on parts. 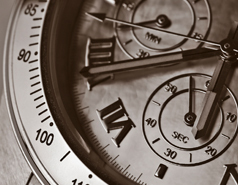 We service all mechanical watches in house with a usual turnaround time of 2 weeks. There is nothing more damaging to a watch movement than water. We use the start of the art Witschi pressure testers in all our stores. A water resistant watch can be resealed and pressure tested in 40 minutes. We specialise in the restoration of vintage & Antique watches. 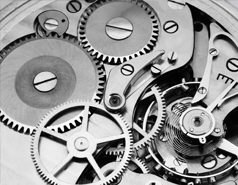 We have access to over 160 horologists across North America, UK and Ireland. This allows us to source rare parts for older watches. We replace watch batteries in all brands of watches. We have the expertise & equipment to guarantee water resistance (Where rated), usually in minutes. Gaskets are replaced free of charge where needed. We stock an extensive range of leather, resin & metal replacement bands. We also special order original bands for the vast majority of watch brands. If you still haven’t found one that suits, we have a bespoke band service in partnership with Darlena watch bands. All of our watch repairs come with a minimum 1 year warranty. 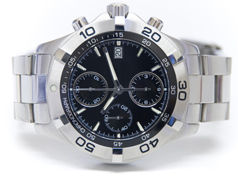 All watch repairs are carried out by fully qualified horologists or watch technicians. All repairs come with a minimum 1 year warranty.